Daniel Boyd is an acclaimed filmmaker (Chillers, Strangest Dreams, Paradise Park), a two-time television regional Emmy nominee, and is a multi-nominated graphic novelist (Chillers I & II, CARBON, SALT). CARBON and SALT are currently being developed for film and TV by Emmy-nominated producer Darrell Fetty. Currently, Boyd and Gold/Platinum albums recipient and NPR’s Mountain Stage co-creator and host, Larry Groce, are collaborating on a full staged musical adaptation of Paradise Park commissioned by Theater West Virginia. The play debuted in June of 2018 to fantastic reviews. It will return in July 2019. A retired media studies professor at West Virginia State University, Boyd also taught around the world including in Tanzania as a three-time Fulbright scholar. 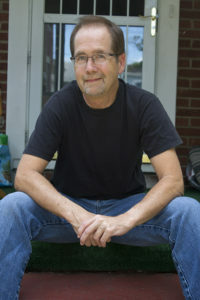 He continues to serve as Artist in Residence at WV State University’s Economic Development Center.